Gantry Slide | Electric | ESFX | PHD, Inc.
Series ESFX Electric Linear Slides feature a ball screw design providing superior speed and load/moment performance in a saddle type actuator. 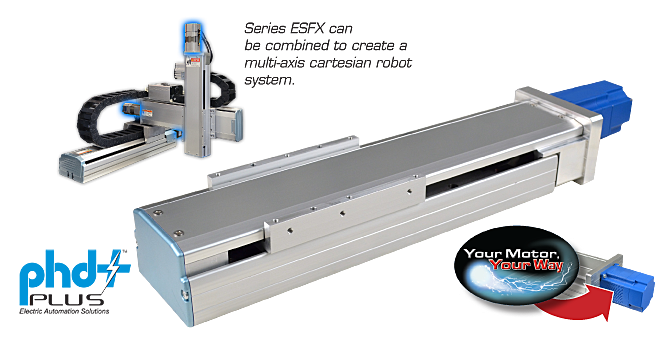 Along with other PHD electric and pneumatic solutions, these linear slides can combine to create virtually any system to meet your Cartesian robot needs. 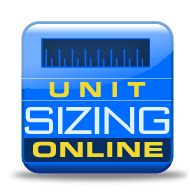 The flexibility of Your Motor, Your Way provides the freedom to use familiar motors and controls, making this linear slide the optimal solution for the most demanding automation applications. Cartesian robot capability, saddle type slide, compact profile, long travel, precision and robust rail bearing system, numerous ball screw and nut configurations.